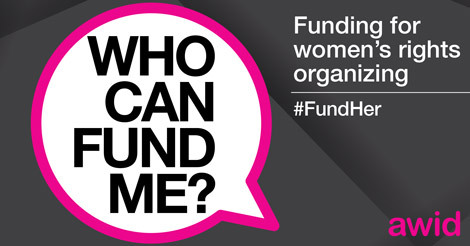 Feminist Donor List: Who Can Fund My Women’s Rights Organizing? Feminist and women’s rights organizations face many challenges conducting the necessary and often urgent work fighting for women’s rights in their communities, while simultaneously searching for funding to sustain themselves. Responding to a key demand of our constituencies, AWID offers a searchable donor list, making it easier for feminist and women’s rights organizations to connect with the right funders. Imagine a coalition of grassroots women’s groups addressing gender-based violence in their communities. They work around the clock to run shelters, educate the community, advocate for policy changes, and keep the police accountable. While accomplishing all of this and much more, they also must simultaneously locate resources to sustain themselves. With shifting economies and the subsequent altered funding landscape, feminist and women’s rights organizations may find that traditional donors are no longer consistent. New actors on the scene, such as private sector actors, may have more resources to offer, but are unfamiliar with the impact of women’s rights organizations. Well-meaning donors may be disconnected from the most effective methods of achieving positive changes, including the importance of offering flexible funding to collective women’s organizing. These are just a sample of the resource mobilization challenges feminist and women’s organizations must counter as they attempt to sustain their work. AWID’s latest global survey in 2011 found that the collective income of 740 women’s organizations around the world totaled only $104 million USD, which is miniscule considering that Greenpeace International, just one organization, had a budget of $310 million that same year. Moreover, the quality of funding women’s organizations do receive does not address their needs properly – it is restricted in time span and for project purposes. Feminist and women’s organizations report that flexible funding allows them to be the most effective. Flexible funding includes multi-year funding and core funding that is unrestricted and may be applied for organizational capacity needs. Despite this, 52% of respondents to the survey reported never receiving multi-year funding and 48% of respondents to the survey reported never receiving core funding. Now, responding to a key demand of AWID’s constituencies – many of them the same donors, feminist and women’s rights organizations, and activists that assisted AWID with funding trends research – AWID has developed a searchable donor list that attempts to bridge the information gap on funding sources and make it easier for feminist and women’s rights organizations to find the right type of funders for their work. Many of the funders in the list are those who have attended AWID Forums in the past or were part of our global research on resourcing women’s rights. It also includes funders who appear to support women’s rights organizations and supporting causes. Responding to the needs of feminist and women’s rights organizations as noted in Watering the Leaves, Starving the Roots, a majority of the funders on this list (45%) - offer flexible funding: meaning multi-year grants or funding that can be applied to operational costs. The list also takes informal groups into account –25% of these funders do not require applicant organizations to be formally registered in their respective countries. Finally, a sizeable portion of these funders (34%), have open applications for any eligible groups, which means you may discover funders who you can immediately send applications to without waiting to be invited. While there are other online donor databases available, this donor list is unique in two ways. 1) Its focus on funding for women’s rights organizing and 2) the dynamic, community-generated nature of the list. This current list includes a large proportion of private foundations (29%) and public foundations (23%). 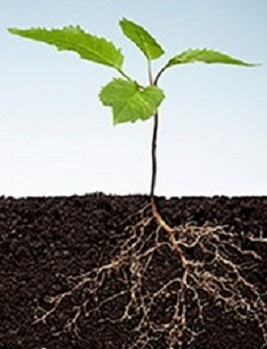 But as our Watering the Leaves, Starving the Roots and New Money, New Actors research has indicated, donors from the private sector, such as corporate donors, are heavy with resources and influence in development circles. What private sector donors do you know of that deserve to make it on their list due to their support of women’s rights? 52% of the funders in the list are located in North America (primarily the United States) and 28% are located in Europe. AWID is interested in sparking conversations on funding coming from locations other than these two geographies – are there important funders that are located in other parts of the world that AWID can highlight? There are no funders based on Southeast Asia or the Pacific on this list! Help us find more funders based locally in these areas! Only 6% of these funders are giving to the Caribbean or countries in the Pacific, and only 5% are giving to Central Asian countries. Help AWID find more funders who are interested in channeling funding for women’s rights to these regions! Are there other funders that you feel should be on this list, that AWID missed? You will see that awiddisqus commentary is enabled on this article and below the Donor List tool for feedback and engagement. If you feel uncomfortable commenting publicly, you can contact AWID privately at fundher@awid.org. How do you feel about the functionality of this tool? How do you feel about the funders that are on this tool? Does this reflect what you know – that these are funders interested in organizations like yourself? As with AWID’s research and Forums, above all, we are interested in hearing from you. We see this Donor List not just as a tool but also as a point of conversation, where all voices have a chance to direct discourse. We will also be hosting a twitter chat on the Donor List during the first week of September – please stay tuned for more details! Arutyunova, Angelika and Cindy Clark. Watering the Leaves, Starving the Roots, AWID, 2013.